Pharmaceuticals are designed to have a biological effect and while not very biodegradable, they are water-soluble. This has resulted in pharmaceutical residues being found in the environment and in waters in almost all parts of the world. It is likely that these residues pose a danger to both ecosystems and people, as substances can alter the behavior of organisms in ecosystems, bio-accumulate and potentially increase antibiotic resistance. The World Health Organization (WHO) has described antibiotic resistance to be one of the major global threats to public health. There are many ways to reduce the release of pharmaceuticals to water. These include using procurement as a policy instrument, changing the behavior of doctors and the reducing patient and consumer use, and also by implementing better technologies at municipal sewage treatment plants. Swedish Water House is working towards several stakeholders within the pharmaceutical sector to decrease the emissions. 2014-2016 Swedish Water House facilitated a cluster group on the theme (see more information “Concluded cluster groups”), and are currently hosting two projects on resource efficiency within pharmaceutical manufacturing and green procurement of pharmaceuticals in the Baltic region (see more information below). Would you like to know more about our work on Water and Pharmaceuticals? Do not hesitate to get in touch with Nicolai Schaaf. Antimicrobial resistance (AMR) has recently been described as our biggest global health threat, with experts warning that it will “nullify the progress of over a century of modern medicine”. In September 2016, the increase of AMR was given attention in the United Nations General Assembly, as officials from 193 countries pledge to tackle this challenge. The accelerating resistance to antimicrobials is driven by unrestricted and untraced use of antibiotics in human, animal and agricultural contexts and critically, from uncontrolled effluents from pharmaceutical manufacturing. As AMR can spread quickly, the uncontrolled release of waste water locally will not only affect neighboring areas, but also led to consequences on national and global level. 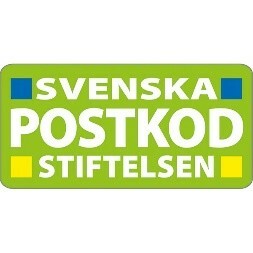 The project is funded by the Swedish Postcode foundation. Pharmaceuticals in the environment have become a global concern, receiving growing attention in national, international and private sector processes, e.g. the UN-System’s inter-agency task team Sustainable Procurement in the Health Sector (SPHS) and the industry driven Pharmaceutical Supply Chain Initiative (PSCI). Ongoing processes on local, national and global level have started to develop criteria for Sustainable Public Procurement of Pharmaceuticals (SPPP), in order make the demand for sustainable produced pharmaceuticals an incentive for decreased emissions. However, there is a lack of coordination and synergies between the different actors. The aim of the seed money project GrePPP is to develop a digital platform for sustainable procurement, where criteria that consider the aquatic environment and are applicable under the relevant European regulation, are formulated and evaluated. Focus is on the Baltic Sea region and on a broad dialogue with relevant stakeholders, which will include the industry and other international actors in order to achieve long term results. SIWI is hosting the project and is working in cooperation with IVL Swedish Environment Research Institute, Institute for Applied Ecology (Germany), Finnish Environment Institute (Finland) and Baltic Environment Forum Lithuania (Lithuania). The project is a seed-money project funded by the European Union (European Regional Development Fund, Interreg Baltic Sea Region).